No, this wasn’t a dare! I’ll explain why I’m wearing this silly hat in a second. If you want to make a difference in the world. If you want to change the world in any way… Caring what people think is a huge obstacle (for me too, and so many people I talk to). 1. Most people are too flippin’ busy thinking about themselves to think about you! So what in the world are we worried about? I wrote much more about this in my last post. 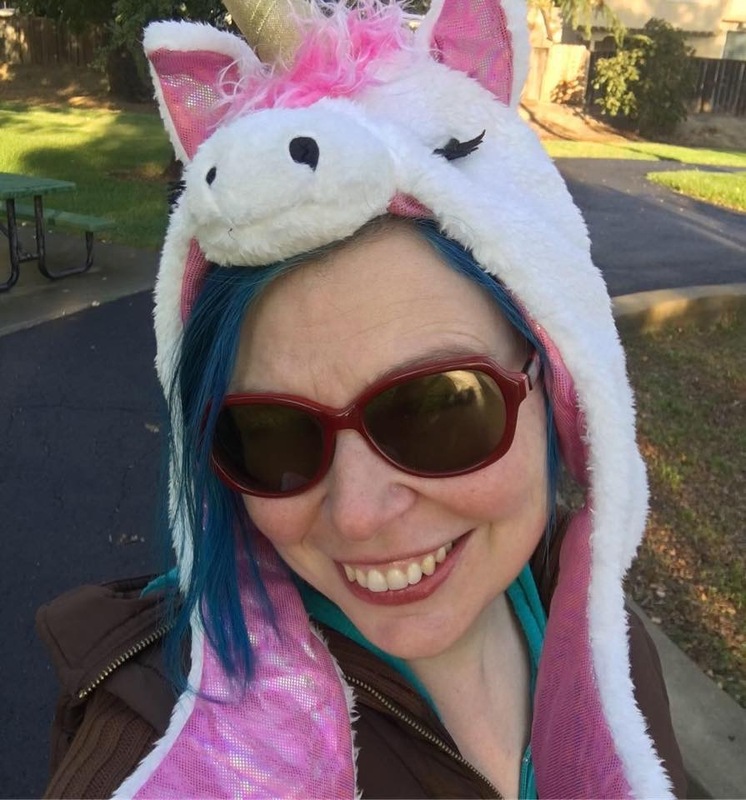 So for here, I’ll just say… I wore the Unicorn hat while walking Smoogie girl today. When I passed the first person, I was wondering what they would say? Would they laugh? Think I was strange? They didn’t even notice! They were too busy looking at their phone and didn’t even see me! If they didn’t even notice me in a unicorn hat, what are we so worried about?! 2. Focus on who it will help. I’m not going to lie. When you say or do things you know you need to do, not everyone is going to like it. Some people will judge you. They may even say cruddy things to you. But what makes it worth it, is the people you will help. When you make a stand and do those things you know you need to do, someone will be helped. Focus on them. It can help override the fear. 3. If people criticize you, feel bad for them. Not for you. If someone has the time and energy to write, say or even think cruddy things about you, how sad for them! Instead of taking it personally (as I’ve done many times before ), feel sorry for them. Shift from feeling shame to feeling empathy. You have amazing things to say and do. Please go say and do them! Even if it means, like me, wearing a unicorn hat! You are amazing! Keep doing your thing and rocking it! Love and appreciate you so much!